Over 25 years in the uniform industry has lead us to explore a diverse range of garment and accessory options for hotels and restaurants. 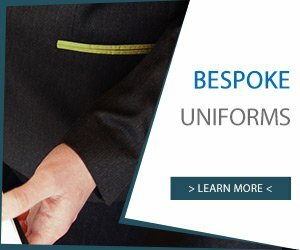 As a result, we pride ourselves on our ability to provide just about anything you might think of, ranging from the fundamentals such as shirts and aprons, to stylish additions such as smart suits, scarves and ties, right through to details such as armbands, cufflinks and even bespoke pan handles. 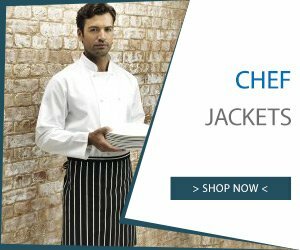 Good quality kitchen uniforms are an essential part of keeping your team safe and clean whilst maintaining a professional and hygienic environment. 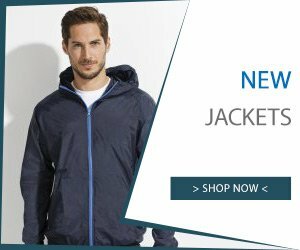 We offer head to toe clothing, designed to protect whilst being comfortable and easy to care for. 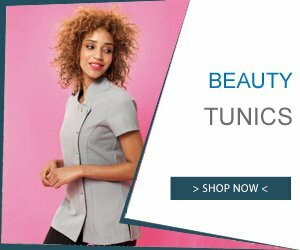 If you're looking for a uniform as hard-working as you are, check out our workwear selection. Durable clothing, made to last. If you're just at the early stages, want to quickly clarify something, or need some advice on the options available, give us a call . 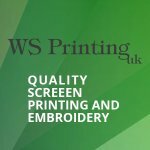 . .
Add your own printed or embroidered logo . . .
Let's see it . . .